With a skate inspired design the Kiana by Salomon is made for young freestyle skiers. 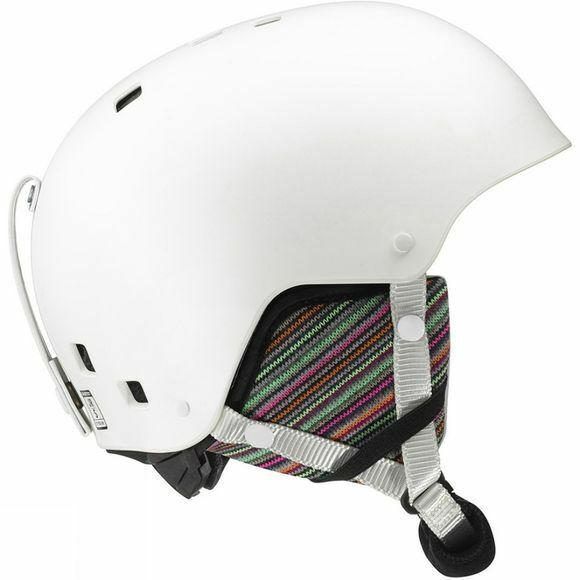 The helmets liner is easy to remove allowing you to wash it after a long session on the slopes; this keeps the helmet odour free and increases the products life-span. Injected ABS + EPS Liner Injected shell delivers high durability, shock absorption, impact deflection, and resistance to penetration. Airflow concept Channels designed inside the shell provide even air movement all over your head.